In his astute tale, Mitchell knowledgeably captures not only the internecine conflict that occurs within a party, but also the volatile mix of excitement and skepticism that followed Obama’s election victory . . . An intelligent and bracingly honest look at the possibility of a post-racial America. In this smart, sharply written first novel, David S. Mitchell captures the idealism and frustration of trying to turn Obama’s promise of hope and change from a moment into a movement. His ear for politics, race, and how the two intersect in a Southern Senate campaign is pitch perfect. Although fiction, We Hold These Truths is essential reading for anyone who wants to understand how political campaigns can give wings to hope or crush it, and sometimes both. 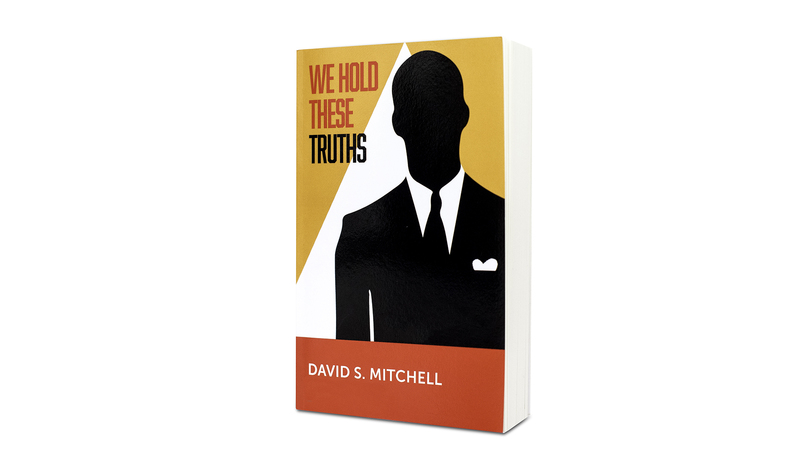 David completed his first novel, We Hold These Truths, on October 3, 2015. The winding road to now began three decades ago in Washington, D.C. where he was born and raised.